Discover a “Napa Valley Style” wine experience right here in Kohler, Wisconsin. Indulge your senses with amazing events…from live music on our patio to culinary events. Merge a “Napa Valley Style” restaurant and a world class winery and you create the rustic elegance of The Blind Horse. Nestled on seven beautifully landscaped acres near the village of Kohler, food and wine are the catalyst for a one-of-a-kind experience. Award winning food and wines await you in this spectacular Wisconsin destination. Eat. Drink. Live. 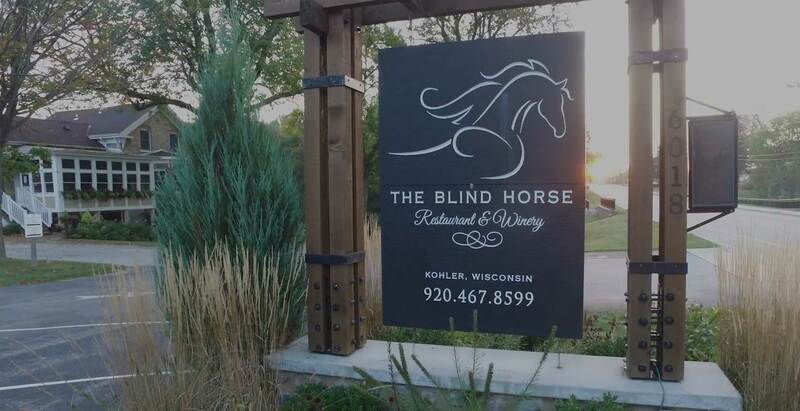 It's The Blind Horse Experience.